Native to the Mediterranean region, but a naturalized weed in most temperate areas of the world. 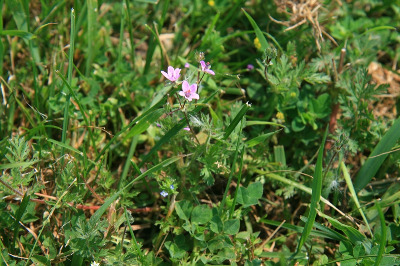 Usually in dry sandy (or rocky) places, including roadsides, fields, cultivated ground (gardens, etc. ), clearings. The earliest Michigan collection seen is 1871, on the border of Livingston and Washtenaw Cos.
MICHIGAN FLORA ONLINE. A. A. Reznicek, E. G. Voss, & B. S. Walters. February 2011. University of Michigan. Web. April 21, 2019. https://michiganflora.net/species.aspx?id=1402.